This is the perfect modular back wall display. 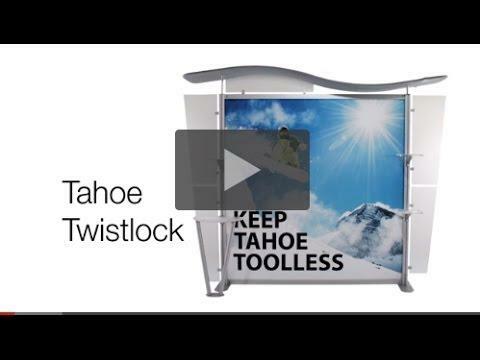 The new Tahoe Twistlock Rack modular system is completely toolless making set up much easier and 50% faster. 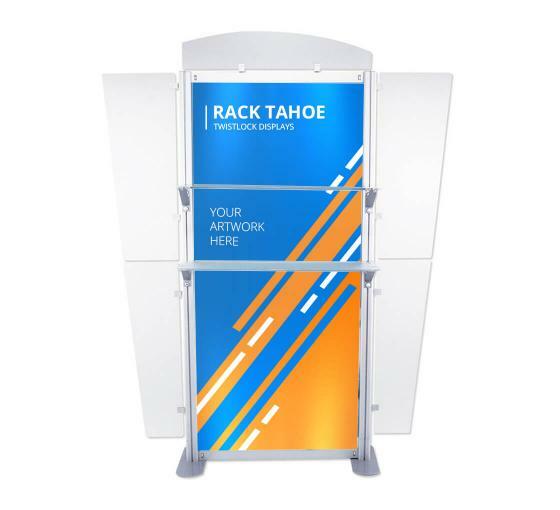 These trade show product display stands are available in a number of configurations and are fully customizable. They are the perfect modular units for back wall displays.